Have you ever wondered why you begin to search for a property from its characteristics and not the characteristics of the area ? Most people make a small mistake when choosing a home. They do not attest that the zone has the desired characteristics. Or at least, totally. Usually they look at the transport network and one or two parameters, just that. What happens next is that when they move to a new home, is when they start to see the problems of the area. Easy parking is a dream. Cycling is a danger. Commerce isn't enough for family needs. And after a few weeks, the dream home becomes a little nightmare. Our advice is simple. Don't choose the house without knowing the characteristics of the area. 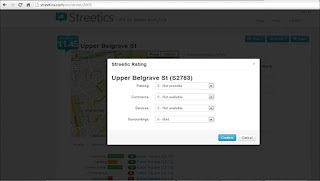 Go to www.streetics.com and check if it's easy to park, if it's easy to do exercise, or just how the atmosphere is. 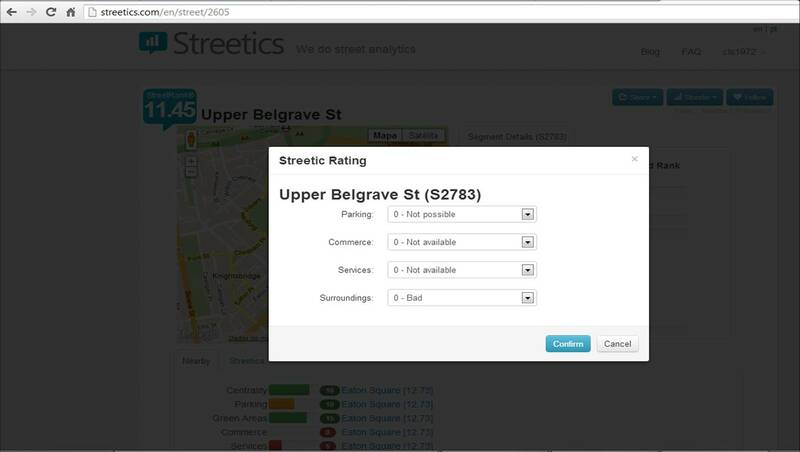 Chama-se Streetics, é uma plataforma criada na Internet há cerca de seis meses e está a avaliar as características das ruas de várias cidades portuguesas e estrangeiras com o objectivo de facilitar a comercialização de imóveis. Em Leiria, das cerca de 150 ruas existentes, 30 já integram o ranking. A Avenida Dr. Adelino Amaro da Costa surge, para já, como a melhor classificada. Ligados ao ramo imobiliário, Carlos Sousa e Mauro Nunes aperceberam-se que "as pessoas têm, às vezes, dificuldades em comprar ou arrendar casa sem questionarem vários factores, como a facilidade em estacionar, o tipo de rua que se trata", entre outros. A partir desta premissa, resolveram criar uma plataforma on line com uma lista de ruas de várias cidades, onde é possível verificar a nota de cada rua, com base em vários parâmetros. Um projecto "pioneiro", esclarece Carlos Sousa, adiantando que, em todo o mundo, apenas nos Estados Unidos da América existe um outro semelhante, mas direcionado para quem gosta de andar a pé." 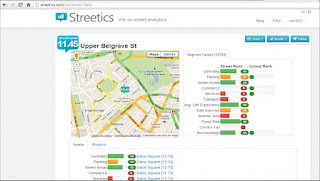 What are the best streets of London to live ? 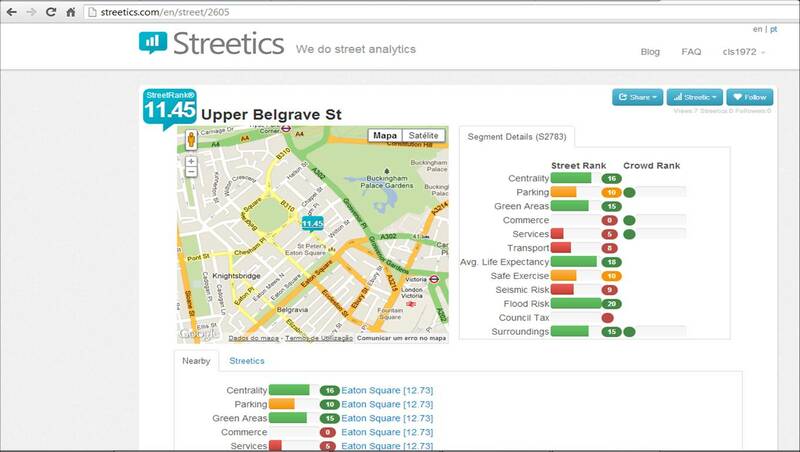 Give us your opinion on the best streets of London to live. 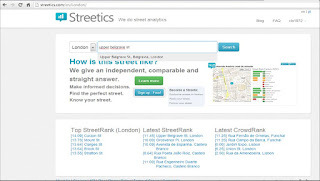 Just go to www.streetics.com/en/London, log in, and select a street. 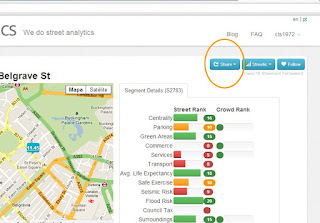 You can share your opinion about four parameters : "Parking", "Commerce", "Services" and "Surroundings". 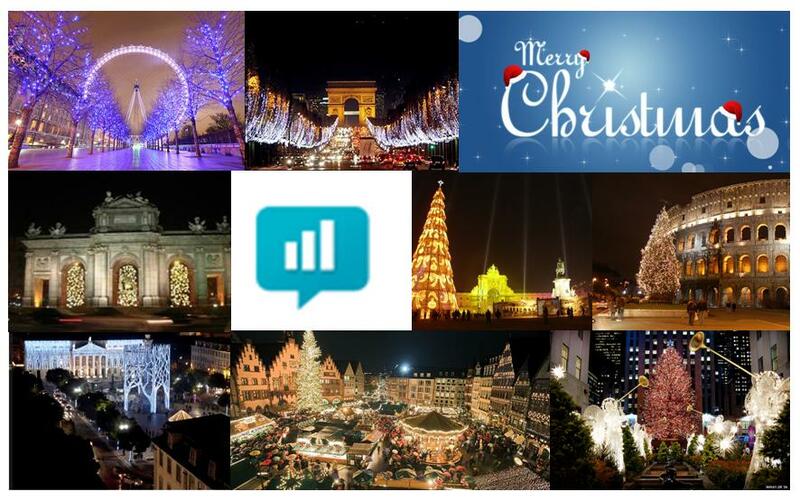 Don't forget to share with friends. 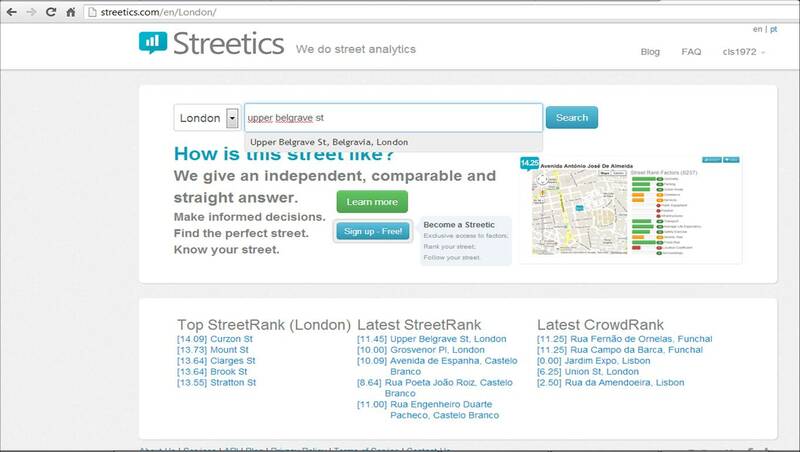 Help us to achieve our mission : To classify all the streets in every city around the world.